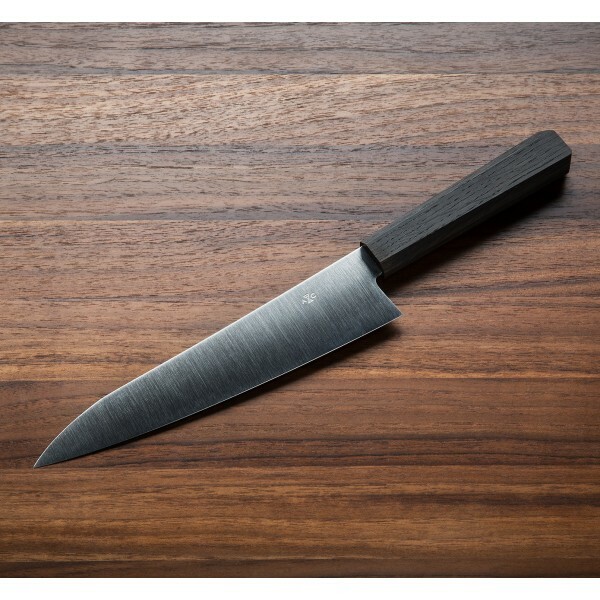 In Japanese style with wa handle, and handmade with striking bog oak from a 13th-century ship deck, the Branch Chef Knife is suited for both the professional and home cook and is practical and convenient for just about everything. The 13C26 Sandvik stainless steel blade has a 50/50 geometry and a slightly convex grind that tapers toward the tip. The thin edge and thin tip will be appreciated by home cooks and chefs alike. 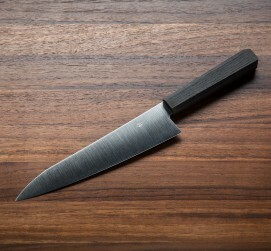 The blade is formed on a water-cooled grinder and individually hardened to 62 HRC. This knife makes a beautiful set with the Branch Santoku and Branch Paring and comes with a uniquely designed wooden transport case. 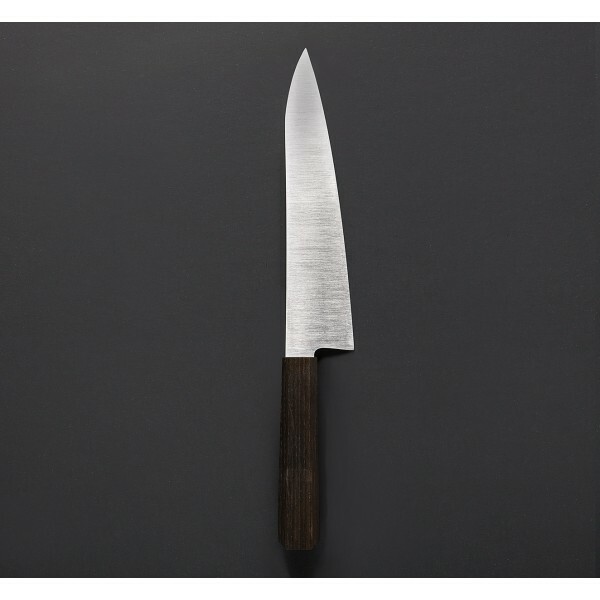 This stainless steel Branch Chef from Joel Andersson and Adisa Copra is the lower-maintenence alternative to their high-carbon steel models. 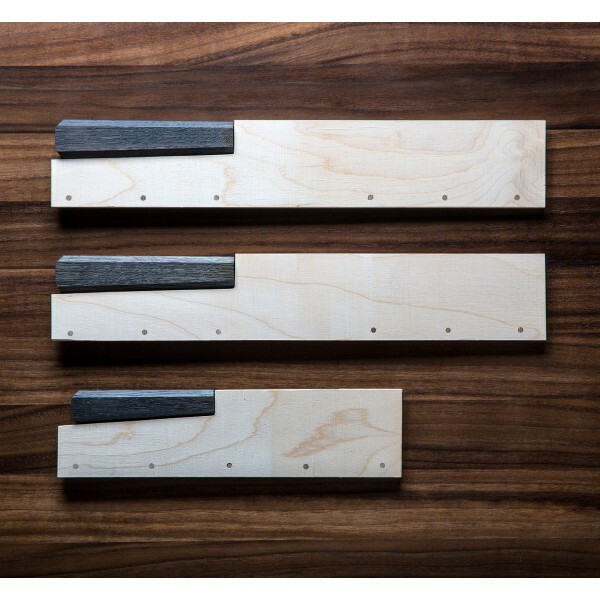 Made by hand in their humble studio in Gothenburg, Sweden, and presented at the 2016 Tokyo Design Week, Adisson Copra knives are as beautiful as they are functional. 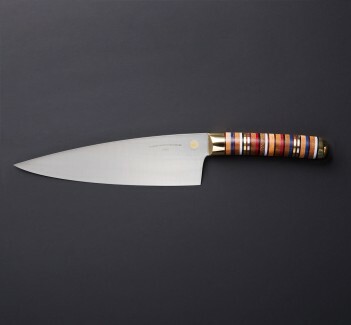 In pursuit of the beauty of simplicity, this talented couple has fine-tuned a design and approach, resulting in stunning knives that make cooking easy and fun. The Branch Chef, accompanied by its unique wooden transport case, is a great example of Joel and Adisa’s ingenuity and creativity. 7.7" (195mm) Blade, 12.5" overall. 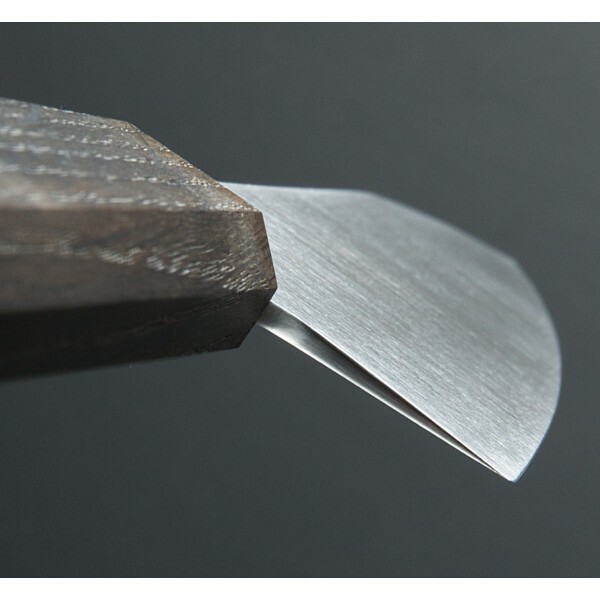 Blade width at heel: 2.5mm. Blade height at heel: 43mm.